It's with great sadness that we mark the passing of Charles D. Siegal, a mainstay of the international law community – particularly on the West Coast, where he lived and worked, and where he was a founder of International Law Weekend-West, a biennial event about which we've frequented posted. Chuck's leadership in ABILA, American Branch of the International Law Association that sponsors ILW-W, included service as Executive Committee member, Human Rights Committee member, and Honorary Vice President. He'd also served as a member of the American Society of International Law Executive Council. For ABILA, he took part in preparation of amicus briefs in a number of U.S. Supreme Court cases, including Paraguay v. Gilmore, concerning the application of the Vienna Convention on the Consular Relations, and United States v. Alvarez-Machain, brought under the U.S.-Mexico Extradition Treaty. 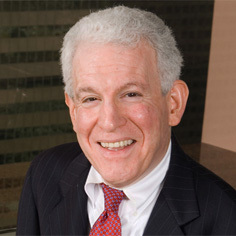 As noted at the obituary posted by Munger, Tolles & Olson, the Los Angeles-based law firm where he was a litigation partner, Chuck was particularly known for his advocacy of the rights of disabled persons. He was a past President of the Disabilities Rights Legal Center, and an author of the West casebook Disability Civil Rights Law and Policy. Just a few months ago he spoke in Vienna, Austria, at the International Conference on Good Policies for Persons with Disabilities, a meeting aimed at promoting full accessibility. Chuck, who died this past Sunday, was 66. We will miss him. With Charlie's passing, we have lost a hero for human rights. Charlie was so kind, accessible, committed to human dignity. We will miss him.